And here, in these osteal tags of standardized products, beats the heart of the unique and unprecedented Hellenism! 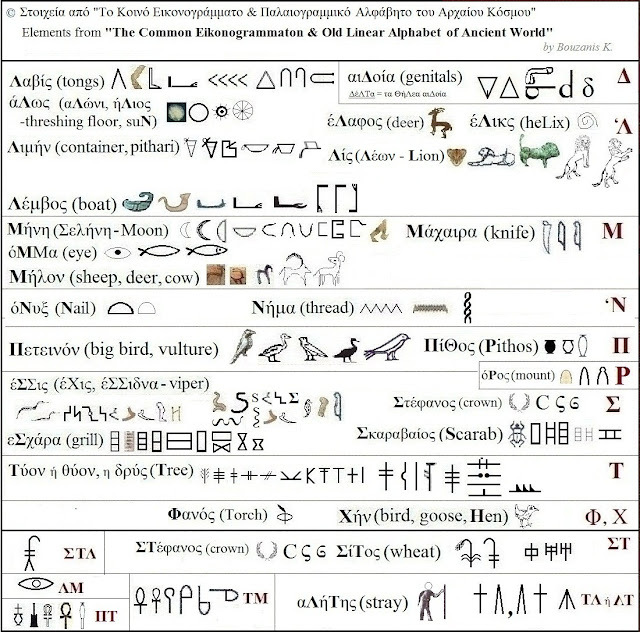 About these Osteal Tags from ancient Egypt, of prehistoric-years old constructs, the... specialists teach, that bring... unintelligible ideograms! 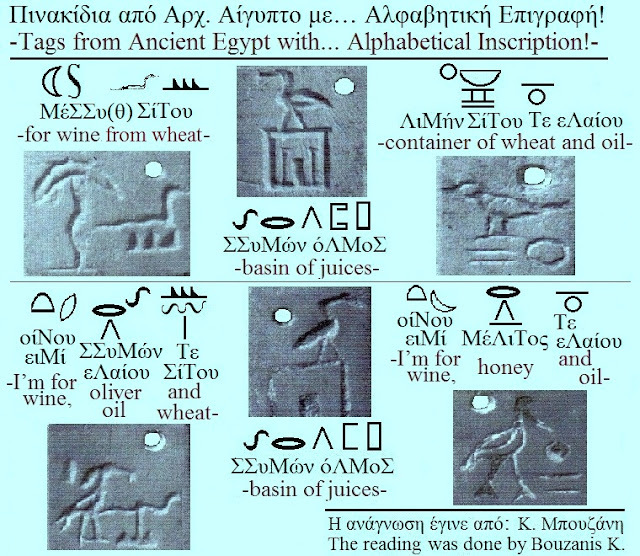 Observe at the first plate the introducing of... the Cuneiform Writing style! Αναρτήθηκε από Μπουζάνης Κων. - Bouzanis K. στις 8:41:00 μ.μ.